its been two months since I havent updated you about the ongoing air project in Macedonian Army.. so here goes. So far, I can say that me and SudacaMKD are satisfied with the project, we are not overcrowded, but all our members are equipped and ready to hunt SH medals. So far, only robislava and RedBarbarian successfully finished the project, thus they received a free Blitzkrieg Pack. As part of this project we have so far rewarded 5-6 Power Packs to RedBarbarian, robislava and Taftabitaa. During these past 4 months we also have had many giveaways for food, Q1, Q2 and Q3 houses, as well as rewards in currency for every rank up. Many thanks to CUDO, davoritos and doktor dominator for their selfless help so far! Now, since we showed the path to our initial members of this project, we are looking for other newbies to get included! *Players with higher rank than Chief Master Sergeant, and players who already have Power Pack active, are not included in the reward system, which is shown below. - For completing the Daily Orders (DO) every day in the week (7 DOs) and being in top 10 by number of kills in the Military Unit, the first week you get Q1 house (one time only), and the second week you get Q2 house. *In order to receive a Q2 house, you must have the Q1 already active. And since you have received a free Q1 house, we assume that in the future you are able to buy Q1 houses by yourself making money from overtime working. With this we can conclude that the Q1 house will be a must-have in the future. 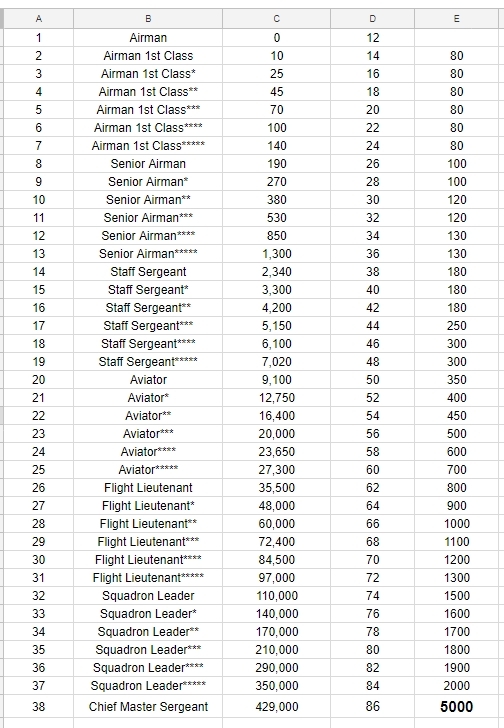 - All those who will be in top5 by number of kills in the Military Unit, only and only in aerial battles in whole week, each of you will get 1.000 currency. - Every month the player with most kills gets a free Power Pack. - The Commander each week will give prize to the most active player in form of 3.000 currency. That means, activity on our Viber group, following priorities, asking for help, questions when something isn't clear etc. One player can get this prize once per month. - Bonus reward for first SH medal - 5.000 currency. - Bonus reward for first SH for eMacedonia - 10.000 currency. - Bonus reward for a SH medal in a very important battle for eMacedonia = 15.000 currency. These battles will be announced by the Military Unit commanders few hours ahead. - Each player who will be part of the program and will achieve Aerial rank Chief Master Sergeant will get a free Blitzkrieg Pack as reward for successfully completing the program. I personally, as Severrus Snape, try to help all our Aerial Programs, like this one, whether its with my time, acquiring new possible members, trying to attract newbies or low-strength profiles into focusing in Aerial battles where they have many benefits (like the state refund system, on which I will elaborate in the next article). This program is a follow-up call, after the first one was released like 4 months ago (link to first article https://www.erepublik.com/en/article/-1344-2661476/1/20 ) and seeing that the previous program brought effect, we decided to expand it. This project has successfully attracted already close to death eCitizens, 2-clickers and even players who had no idea what was actually happening in the game. They are now proud Aviators of the eMacedonian Sky Fleet, and very well equipped thanks to this air-program. We are looking to expand those numbers! All interested players please contact GAMBLE_24 or SudacaMKD so they get an invite to join the Air Squad and submit their info for statistics. Please post your thoughts about this program below in the comments, we would appreciate your feedback! Newbies, we are waiting for you! Who's actually paying for this and how much it costs? Успешно донира 7000 MKD. Ако играчот прифати, износот наскоро ќе се појави во неговата сметка.